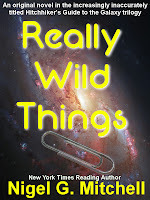 Nigel G. Mitchell - Author, Blogger, Geek: My Hitchhiker's Guide Novel, "Really Wild Things"
My Hitchhiker's Guide Novel, "Really Wild Things"
"A very good and froody article of fan fiction. The only complaint I have is that it had to end so soon." "This story is great! I was going to do something on the order of 'what happened if fenchurch *didn't* disappear after all' also! I can't imagine why Douglas Adams thought that she would get in the way of the story. This and "The Lost Chapters of the Hitchhiker's Guide are set in an alternate universe where the sad events of Mostly Harmless never take place! Thanks so much for writing this happy alternative!" "I read this in one sitting. I loved this tale. Of all the stories I found in the H2G2 section of, Really Wild Things was the only one which resembled an actual Hitchhiker's book. You've really done your research." "Thoroughly hoopy and quite froodish. You really managed to capture Adams' style and there really isn't a better compliment than that." "This story is awesome beyond words, for your words are far beyond awesome. A creative and intriguing plot paired with the many beloved characters and slightly sprinkled with the quirks and conundrums that made me read Hitchhiker's Guide several times over. It's like the sixth book in the trilogy! :) Great read!" "This is, without a doubt, the greatest HHGttG fic I have ever read. My hat is off to you and I lay my towel at your feet." "Wow. Just... wow. Were you Douglas Adams in a previous life? Are you Douglas Adams now? Is Douglas Adams your pseudonym? I'll stop asking questions, since I could go on quite a while, but you get the idea. This fic was absolutely incredible; it is so like his writing style that it's spooky (even the bits that aren't taken from the books ;) ) I loved your description of the dentists and Sirius Cybernetics Corporation, and the fact that it had 42 chapters, and all of the little jokes about paperclips and things. Magic." "Awesome. That's about all. Best of all was this lack of being able to shake off the feeling that I was reading Hitchhiker Canon. Trust me, you've got a talent." The best part is that it's absolutely free. 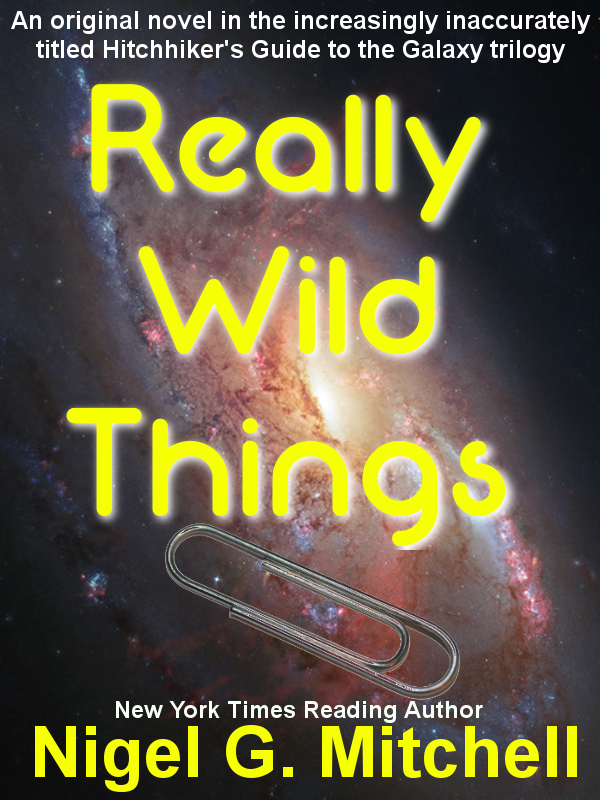 Really Wild Things is in EPUB format (also on Dropbox and Mediafire), MOBI format, and PDF format, as well as Wattpad. Stay tuned, enjoy, and don't panic. Would any of those formats work on my Kindle? I'm not sure, to be honest. I'm working on the mobi version, though.